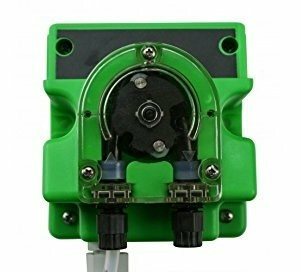 The MP810 Dosing Pump makes a perfect addition for adding additives and supplements to freshwater and saltwater aquariums at precise intervals to maintain consistent levels. The Milwaaukee Mp810 allows easy automation for two part dosing. It has a maximum flow rate of 0.16 gallons per hour (10.1 ml per minute). Includes mounting bracket, screws, 1.5 m (4 ft) Ext. PE tubing, inlet filter, and 6 ft power cable.